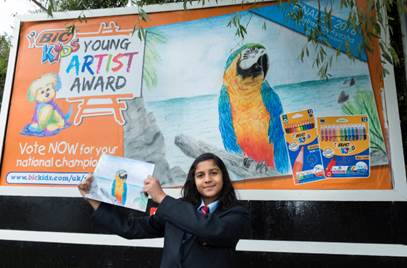 Following a public vote, eleven-year-old Ayesha Tania from Newport, has been announced as the winner of the BIC® KIDS Young Artist Award 2018, which was developed to celebrate and inspire creativity from 5-11-year-old children this summer. After receiving nearly 1,000 entries from across the UK and Ireland, 14 regional winners were selected by a panel of experts to face off in a public vote between 27th August and 9th September. Parents and children then cast nearly 20,000 votes to crown Ayesha, the finalist who represented Wales, our overall winner. 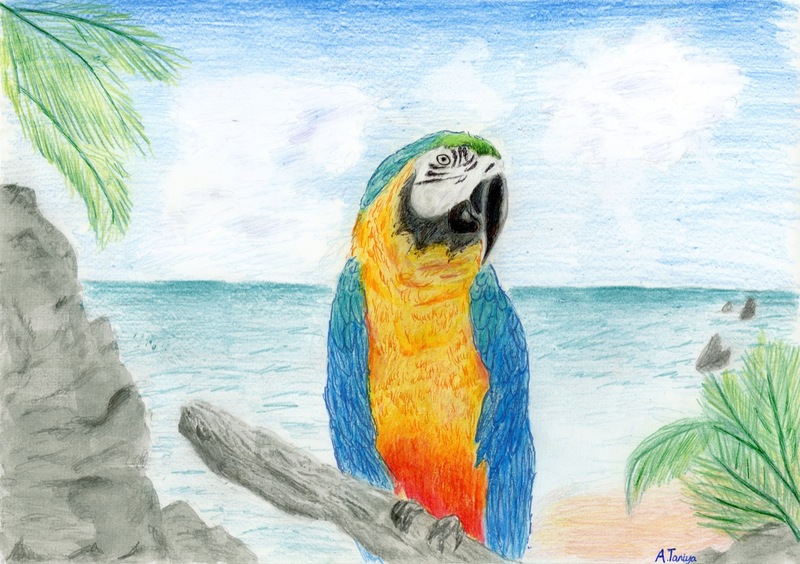 Rebecca Huda, BIC® UK and Ireland’s Product Manager – Stationery, said: “We were incredibly impressed by the quality of submissions received and diverse subject matters tackled by young artists from all across the country. It was immensely difficult for our panel of experts to whittle the artworks down to just 14 finalists in the first place, so to win the title of overall winner really is a huge accolade for Ayesha.